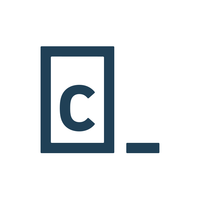 Codecademy Pro Intensive is the online, intensive, paid offering from Codecademy. Codecademy Pro Intensives are accelerated, high-touch programs that teach job-ready skills like web development, data science, and programming. Intensives are 6-10 weeks long and feature a rigorous curriculum with personalized support. Students choose from courses in topics like Programming with Python, Data Visualization with Python, and Build Websites from Scratch. While these Intensives are not instructor-led, Codecademy Pro Intensives are supported by a global community of coaches, advisors, and graduates. Throughout the courses, students build real-world projects and build a capstone project. Successful graduates earn a certificate upon completion. My main issue with this is that with pro intensive you get access to less modules/learning material than you do with Pro. Pro intensive costs more. Upon complaining, codeacademy claim that pro intensive is targetted at a basic level. However I would argue their wording is bad, and is false representation/misadvertisement of their products, as their website suggests pro intensive is the superior product. In order to gain access to the 15% missing material, you then have to sign up and pay for Pro anyway, even though you've already completed 85% of the course with pro intensive. In addition, there are quite a few errors, which the moderators agree with, but months later, nothing has changed on the course. Disappointed as I would have been happy to have signed up to more with pro intensive, but not if I'm not going to get all the learning material. I purchased an intensive for $199, which was advertised as "no prior knowledge required", in order to get certification students have to complete a final project that is beyond hard and is impossible to do with the instruction provided in the intensive. The instruction was basic, completely inadequate, and at other times incomprehensible. Final project does not even begin to correspond to the material provided in the course, and certainly requires prior expertise to complete. If you are attached to your sense of self-worth and your self-esteem at all, DO NOT buy their intensives. An email with these details has been sent to Codecademy Pro Intensive. You've already applied to this scholarship with Codecademy Pro Intensive.